Circle charts can help represent different types of information in slides, such as a process, performance metrics, comparison chart, etc. 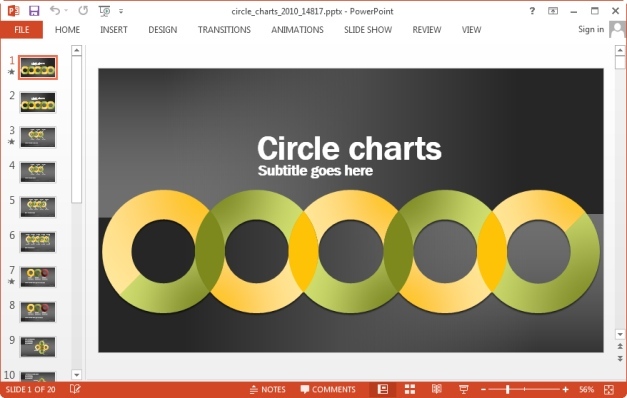 Circle Charts PowerPoint Template provides editable diagrams with circle themed slide layouts. 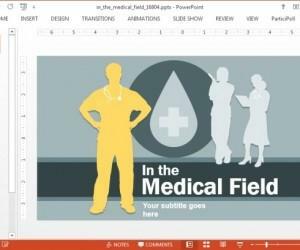 The editable charts can be used to create custom diagrams for explaining a process or sequence, as well as to elaborate statistical data in the form of charts. 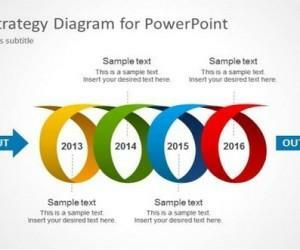 This diagram template for PowerPoint has been designed in such a way that you can reveal different aspects of your presentation by revealing one circle chart after the other, in a numerical sequence. 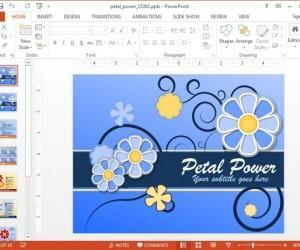 Moreover, the template also provides various slides suitable for making standalone diagrams. 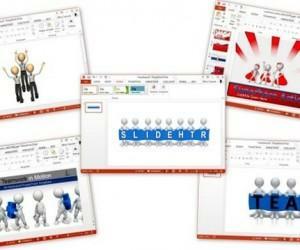 The opening slide depicts a five circle slide, which is available in both animated and static form. 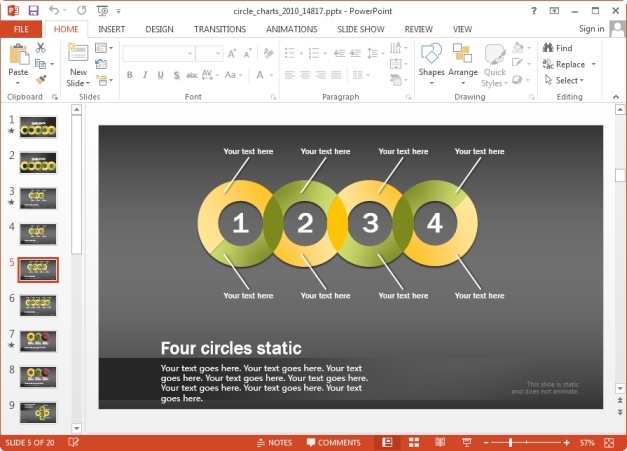 The following slides provide a three, four and five circle slide sequence, followed by a few different sample diagram slides for making standalone circle diagrams. 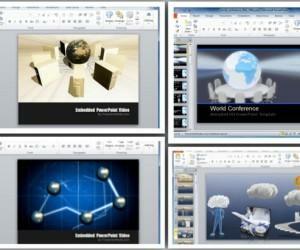 This PowerPoint Template contains 20 slides, including static and animated versions of different layouts. 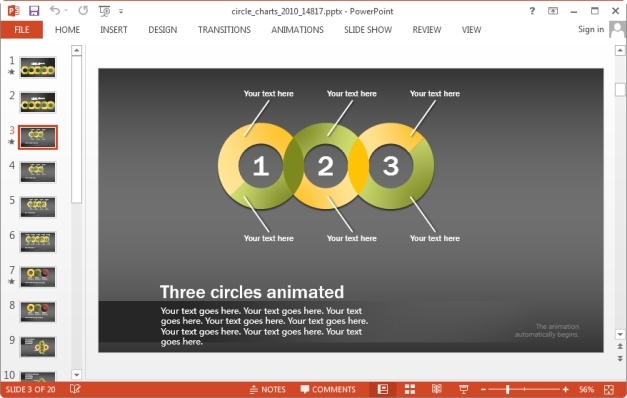 These slides come with appropriate texboxes to help you elaborate the sample diagrams to create a custom circle chart. 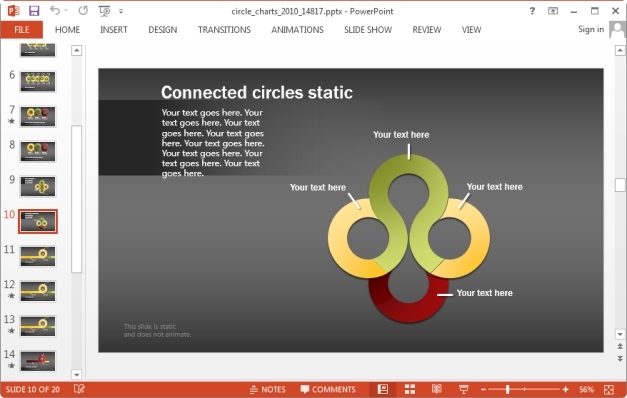 Alternatively, you can move the circles around via drag and drop to reorganize the diagram according to your requirements. 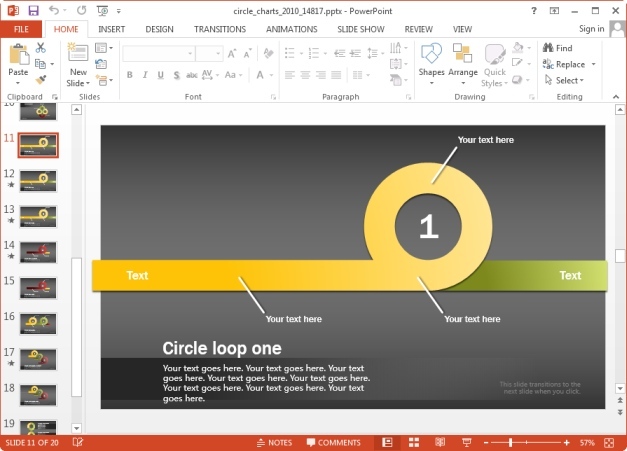 Other than the sequence of 3, 4 and 5 circle slides, the template also provides a sequence of animated circle loop slides which push one loop to reveal the other, when played in slide show mode. 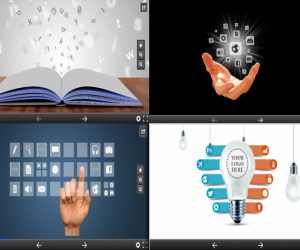 This loop sequence can be a good way of introducing different aspects of your topic with the help of customizable animated slides.